AsCi Communications Sdn Bhd established since year 2000 under the name “Aspek Cipta (M) Sdn Bhd” was born from a group of system integrator companies dedicated to the growth and development of telecommunication industry in the country. AsCi intend to provide services to the telecommunication operators and corporate companies focusing on the mobile, wireless transmission and optical fiber network environment. AsCi, is run by a group of young and ambitious Malay entrepreneurs whom are willing to take the challenge amidst the economic uncertainty during its early year to be part of the ever-growing telecommunication industry. In AsCi, we believe in focusing on a niche market of the telecommunication industry, providing highly capable technical personnel and associating our self with those having wider experience in the trade, shall offer the ultimate solution to the customer. As such we have teamed up with the more experience network development consultants, associating with the more established products in the market, focusing mostly on the mobile/wireless telecommunication industry, offering indoor coverage solution and network optimization solutions to the customer. From the past experience in the RF environment, AsCi is now the proud owner of the brand ABCOM, the OEM products based on RF and microwave technologies. 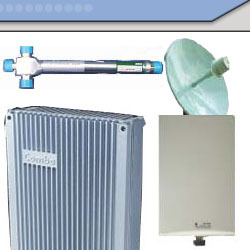 ABCOM produce a range of RF and Microwave components ranging from the passive components such as GSM, 3G and CDMA panel antennas to the active equipment such as boosters and repeaters. In supporting the government vision towards industrialized country, AsCi aims to be the leading Bumiputra Company providing a technology based solution for the mobile network environment. AsCi visions to move further as a turnkey solution provider whom shall be able to design, plan and implement and optimize a mobile the in-building requirement and optimization program. AsCi have a mission to produce a pool of local technical personnel whom shall be able to support the Telco’s for better services. In AsCi we believe our knowledge, dedication, commitment and support from the government and local industries, will make this highly challenging mission possible. As a team, the management and staff of this company proudly look forward to turn this vision into reality.